Bass-baritone Patrick Carfizzi opens the 2015-2016 season with his return to the Metropolitan Opera as the Mandarin in Franco Zeffirelli’s production of Puccini’s Turandot under the baton of Paolo Carignani, and as Cecil in Sir David McVicar’s production of Donizetti’s Maria Stuarda under the baton of Riccardo Frizza. He also makes his company and role debut as Zeta in Lehár’s The Merry Widow with Lyric Opera of Chicago opposite Renée Fleming and Thomas Hampson, directed by Susan Stroman and conducted by Sir Andrew Davis. Mr. Carfizzi continues his season with a return to Lyric Opera of Kansas City as Dulcamara in Donizetti’s L’elisir d’amore, and he makes his Austin Lyric Opera debut as Dr. Bartolo in Rossini’s Il Barbiere di Siviglia. He returns to the Hessisches Staatstheater in Wiesbaden, Germany as Dulcamara in a new production of L’elisir d’amore, and as Fra Melitone in gala performances of Verdi’s La forza del destino. Mr. Carfizzi’s 2014-2015 season featured his company debuts with the Lyric Opera of Kansas City as Mustafa in Rossini’s L’Italiana in Algeri and with San Diego Opera as Henry Kissinger in John Adams’ Nixon in China. He returned to Seattle Opera as the Music Master and Truffaldino in Strauss’ Ariadne auf Naxos, as well as Houston Grand Opera as the Speaker in Sir Nicholas Hytner’s production of Mozart’s The Magic Flute conducted by Robert Spano. Mr. Carfizzi rounded out his season with his role and company debut as the title role in Donizetti’s Don Pasquale with the Hessisches Staatstheater. Orchestral highlights of Mr. Carfizzi’s recent seasons include performances with the St. Louis Symphony under the baton of Markus Stenz in Brahms’ Requiem and Vier ernste Gesänge, and Britten’s Peter Grimes with the St. Louis Symphony under the baton of David Robertson, performed both in St. Louis’ Powell Hall and New York City’s Carnegie Hall in commemoration of the composer’s 100th birthday. 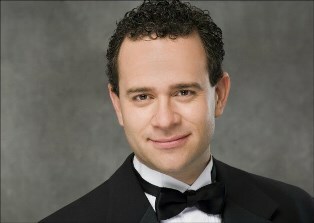 Notable past engagements include Henry Kissinger in the San Francisco Opera premiere of Nixon in China, Paolo in Simon Boccanegra (San Francisco Opera, Metropolitan Opera, and Houston Grand Opera), Belcore in L’elisir d’amore (Santa Fe Opera), Don Magnifico in La Cenerentola (Seattle Opera and Houston Grand Opera), Dr. Bartolo in Il Barbiere di Siviglia (Seattle Opera, Houston Grand Opera, Opera Theatre of St. Louis, Central City Opera, and Canadian Opera Company), Taddeo and Mustafa in L’Italiana in Algeri (Dallas Opera and Houston Grand Opera, respectively), Papageno in Die Zauberflöte (Houston Grand Opera and Dallas Opera), and his role debut as Dulcamara in L’elisir d’amore with the Opera Theatre of St. Louis. A favorite artist of Oper Köln, Mr. Carfizzi made his European debut with the company as Leporello in Mozart’s Don Giovanni and reappeared with the company in 2012 as Fra Melitone in La forza del destino. Mr. Carfizzi made his Metropolitan Opera debut in 1999 and has performed over 300 times with the company in a variety of roles, including Schaunard in Zeffirelli’s iconic production of La Bohème, which was broadcast on the Emmy and Peabody Award-winning Live in HD series to movie theaters around the world, the Jailer in John Dexter’s production of Dialogues des Carmélites, Masetto in Don Giovanni, Haly in L’Italiana in Algeri, Brander in Berlioz’s La damnation de Faust, Peter Quince in Tim Albery’s production of Britten’s A Midsummer Night’s Dream, and Frank in Jeremy Sams’ new production of Strauss’ Die Fledermaus. Other Met productions include Le nozze di Figaro, Turandot, and Gianni Schicchi. Mr. Carfizzi’s concert work includes performances of Handel’s Messiah with the San Francisco Symphony, Donizetti’s Maria Stuarda with the Washington Concert Opera, and Janáček’s Glagolitic Mass with Seattle Symphony. He has performed under the auspices of The Opera Orchestra of New York, Washington Concert Opera, and the Mostly Mozart Festival. Notable conductors with whom Mr. Carfizzi has worked include James Levine, Louis Langrée, Marco Armiliato, Vladimir Jurowski, Plácido Domingo, and Philippe Jordan. 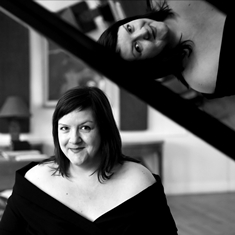 Marie-Claude Roy est native de Québec et vit présentement en Belgique où elle mène une carrière de pianiste répétitrice et coach de langue (La Monnaie, Opéra Royal de Wallonie, Vlaamse Opéra, Opéra du Luxembourg, Intermezzo fondation), coach vocal (entre autres, Marie-Nicole Lemieux, Michéle Losier, …), soliste et chambriste. Elle a eu l’occasion de donner plusieurs récitals avec de grands artistes (dont Philippe Jarrousky, Hélène Guilmette, Renée Lapointe,…). En 2007, elle enregistrait des duos de Brahms, Mendelssohn, Schumann et Gounod avec les chanteuses Diane Blais et Annette Linke en Allemagne. Elle a eu la chance de se produire dans plusieurs pays comme le Japon, l’Angleterre, les Pays-Bas, la Belgique, la France, l’Italie, l’Allemagne et le Canada. Détentrice d’une maîtrise en interprétation de l’Université de Montréal, elle a étudié le piano avec des professeurs de renom comme Robert Weisz, Claude Savard, Bruno Biot et l’accompagnement avec Janine Reiss, Peter Tomek, Louise-Andrée Baril, Claudette Denys et David Miller.